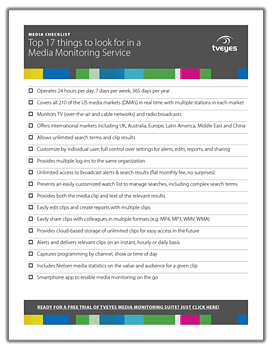 The Top 17 Things Your Radio and TV Monitoring Solution Should Include. Our unbiased checklist will help you make a great choice. It's like a one-page buyer's guide for media monitoring, and it's yours free for the asking.